The Old Castle in Ingolstadt, where Hagbard Celine hosts a dinner featuring lots of good German beer. 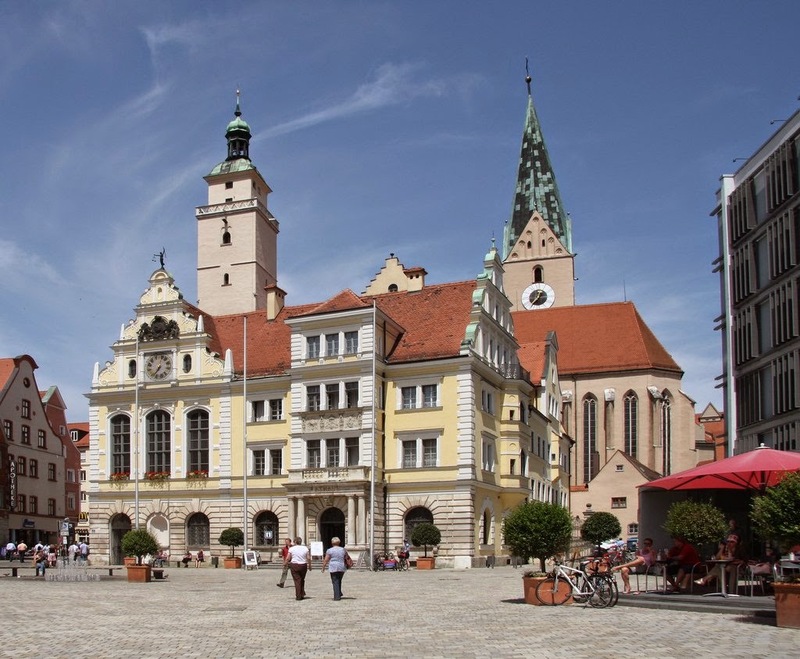 While Lake Totenkopf is fictional, Ingolstadt is a real German city and is indeed the birthplace of Adam Weishaupt, the founder of the Bavarian Illuminati. Weishaupt was a professor of the University of Ingolstadt. Victor Frankenstein, in Mary Shelley's novel, attended the university. There's apparently no great lake by the city, which is in fact on the Danube, thus putting it on the frontier of the Roman Empire. The Liebfrauenmünster and Maria de Victoria churches, mentioned on page 606 under slightly different names, are real places. 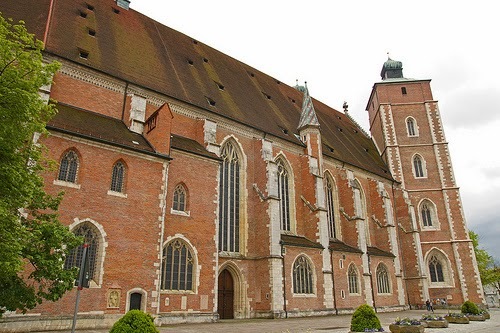 The Liebfraumuenster Church in Ingolstadt. Interior of the Maria de Victoria church. The town hall in Ingolstadt. "It depicted the Holy Roman Emperor Henry IV barefoot in the snow at Canossa," page 608. This is a reference to famous incident in which the emperor stood in the snow, begging Pope Gregory VII to forgive him. The pope, although a significant figure, is not in fact Gregory the Great, so the authors get that bit wrong. "Mal, baby," Joe cried, page 611. Malaclypse the Elder, who we encountered in Chicago. See the Illuminatus section of this article. Just then, Joe distinctly heard a rooster crow, page 617. Hagbard's oddball reenactment of the Last Supper seems to be conflated with Peter's denial. I am in the middle of working 10 days in a row, so I am afraid this posting will be a bit shorter than I would like. In 1985 I visited Ingolstadt on July 23. I'd forgotten the reference to the sermon "Sinners in the Hand of an Angry God" on page 616. When Mavis kisses Haggard instep on that page it echoes The Taming of the Shrew. Page 617 contains echoes of the Last Supper ("Somebody at this table is going to betray me") and Joe contemplating betraying Hagbard hears a rooster crow, echoing Peter's denial of Jesus. 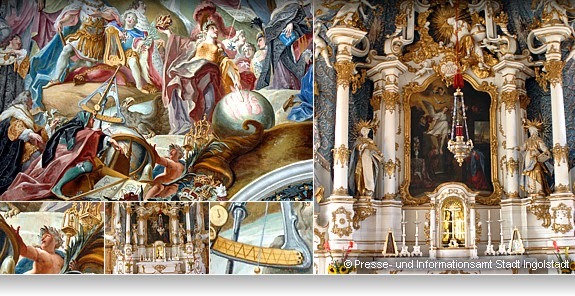 p.606 - "This place is full of beautiful buildings," said Hagbard." - Beauty = Tiphareth. The image gets reinforced if we interpret "place" using Crowley's lexicon for that word from the "Book of Lies." The two Churches quoted both have names corresponding with Binah, Liebfrauenminister = Our Lady Minister and the other one seems obvious. p.616 sees two more Tiphareth tags: "You should have kept your head in place, Hagbard..."
It's Hagbard who thinks he's Jesus according to George. All the Tiphareth occurrences seem related to the scene of mass death coming up. Tiphareth, the energy that concept symbolizes, seems a kind of remedy or aid for surviving the transition of death of any kind from what I've gathered doing occult research. The hymn George sings on p. 610 obviously suggests Tiphareth. The Last Supper suggests impending death. p. 606: "... but Hermie "Speed King" Trismegistos, drummer for the Credibility Gap..." - refers to Hermes Trismegistos, a legendary (as in being an actual legend, not a hyperbolic adjective) teacher of magick. Speed King may refer to the startling efficaciousness of magick. King also corresponds to Tiphareth. S + K = 80 = Pe = The Tower (tarot) which has an image of lightening striking a tower. Someone has been "struck by lightening" when having gone through a rapid transformation. Adding up the word "drum" and looking it up might reveal why they made Hermie a drummer. The Credibility Gap could be between those who have experimented or appear open to magick and those who know it only as fantasy. p. 612 The discussion of hair which starts, "Hair is the most important thing in this society.." seems to parody the over importance given to hair length by both the Counterculture and the Establishment in the 1960s and 70s. CSNY wrote and recorded a song called "Almost Cut My Hair" as a similar kind of parody and, of course, there's the Broadway musical "Hair."